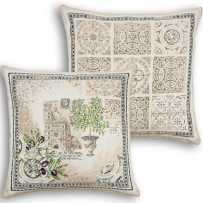 Provencal fabrics have always paid tribute to the natural elements of the region. 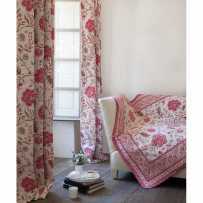 We have a good example with the Cigales pattern. The deep blue of the background captures the light and highlights the stripes of drawings. The motif placed in the middle of the mat represents a very detailed cicada resting on an olive branch. Yellow borders with scrolls in green form streamers. The outside is strewn with small yellow cicadas staggered, and the piece is finished by a narrow strip of yellow color. This is a very traditional theme. 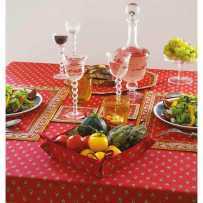 A pure Provencal placemat set. 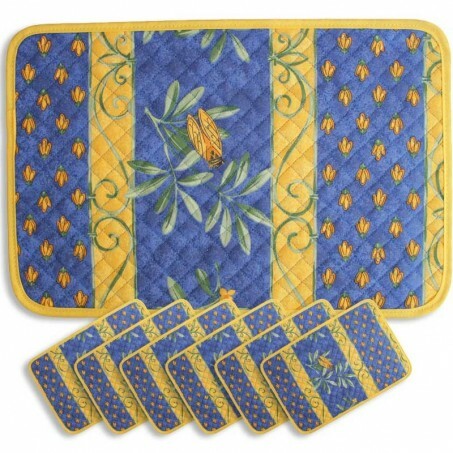 Evocation of summer heat, these colorful placemats will be perfect for your outdoor lunches. 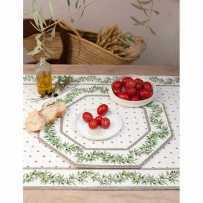 On a balcony or a pergola, you will like to set placemats with Provencal accents and imagine the song of the cicadas. 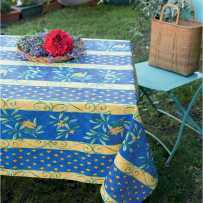 Your table will be warmed by the yellow of the patterns and the blue of a mistral weather will print in your sky. 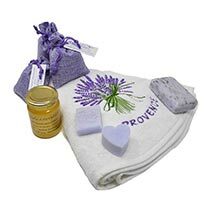 Also, you may like buying the accessories: napkins and bread basket. 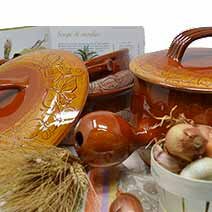 Nothing more than dream of a hot summer sun, since all the ingredients are gathered for a southern lunch. Our cicadas are everywhere! 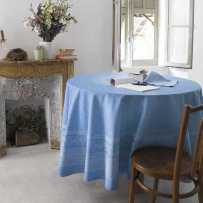 They stick on pretty round, square or rectangular tablecloths, and even on tablecloths for oval tables. 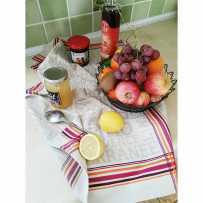 They illuminate the meal with touches of a Provencal yellow color. 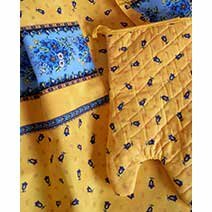 In the kitchen, they help the chef to avoid getting burned with gloves and potholders. The apron does not escape their invasion to make the preparation of the meal very colorful.